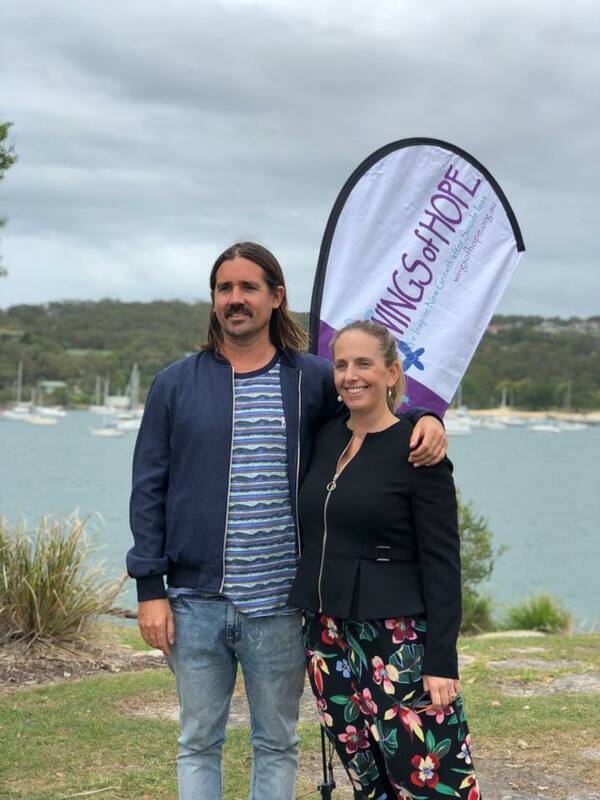 On 18th November 2017 coinciding with International Survivors of Suicide Day, Wings of Hope co-hosted a Remembrance gathering on Balmoral Island in Sydney, for people bereaved by suicide. This annual event is a collaboration between Wings of Hope and the Centre for Intense Grief’s Director, Dr Diana Sands, and is attended by committee members, friends and supporters of WINGS of Hope. Thank you to those who came along to connect with others bereaved by suicide and remember loved ones in a moving ceremony. A big thank you to our speaker, Grant Trebilco, from One Wave, for sharing his personal story and connecting the group by sharing his personal story. Here is a touching poem, You’re My Guest In Thought, that Dr Diana Sands read on the day to those that attend. We will post more information about the 2018 Remembrance gathering to be held on November 17th in the coming months. Grant Trebilco from OneWave and WINGS of Hope President, Wendy McWilliam at our 2017 gathering.